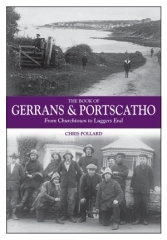 Chris Pollard is a musician and author living in Gerrans. 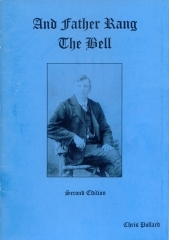 In recent years he has written a number of books about the area and its people. Several of these are out of print but they may be available through inter library loan (in the UK) and occasionally can be found on eBay. Note that the descriptions of the books come from the publisher. Nine pubs and plenty of local history with a sprinkling of anecdotes (5 photos). 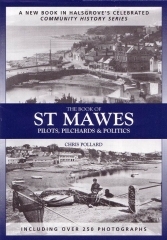 A comprehensive history of the village of St Mawes in the parish of St Just in Roseland from the earliest records to the 1960's, with plenty of local reminiscences. 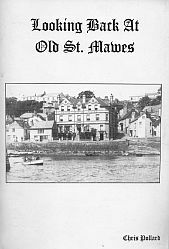 Fishing was the life blood of St Mawes and when catches were poor the locals were on the brink of starvation. Some of the most upstanding members of the community were involved with smuggling including the governor of St Mawes Castle and, in later years, the mayor. Many local families are mentioned along with lists of residences in 1841 and 1914. (30 photographs). 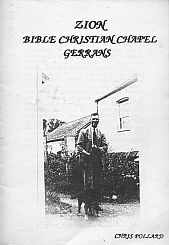 A history of the Bible Christian Chapel in Gerrans featuring chapel accounts from 1849-1894. Many local families are mentioned and also recollections of some surviving members. 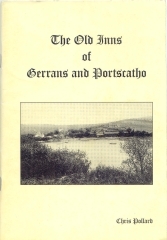 Chris Pollard has given his kind permission for a scanned PDF copy of this booklet to be available here (Adobe Acrobat reader required). 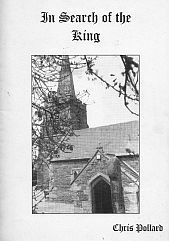 The story of Cyril Johns B.E.M. of Gerrans who recalls memories of 55 years of service with the Auxiliary Coastguards, and the days of the horse-drawn Rocket Apparatus. One of 10 children, Cyril started work at the tender age of 8 after the death of his father, to bring home some much needed money to his mother. 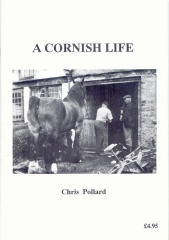 A farmer all his adult life, with a great love of reminiscing, Cyril was the ideal choice for this recollection of life on the Roseland Peninsula in the early years of this century. Set in its sheltered position, St Mawes has often been described as the jewel of the Roseland. But its almost Mediterranean appearance, although pleasing to the eye, cannot hold a candle to its history and to the families who made this small fishing village a place of great national importance.